We are involved in offering a wide range of Book Binding Stitching Wire to our most valued clients. These are used by printing and book binding industry for binding books, leaflets, catalogs, cheque books etc., for spiral binding and for wire binding. These wires are available in both forms i.e. with or without spool as per the requirement of the buyer. We are the best in this market for offering the best array of Metal Wiro. Universal Trading & Manufacturing Co.
With the best of working hand at our company, we have been able to bring forth a top notch class of Book Binding SS Wire. • Material: Plastic Price Range: Rs 90 to 150/- per packet depending on quality and colours, excluding all taxes. 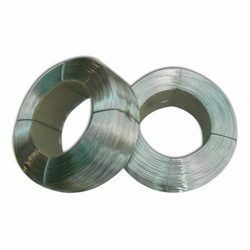 We are the leading organization in the industry to provide our clients the best quality array of Plastic Spiral Wire. 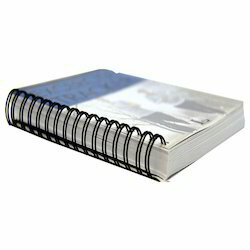 Notebook Spiral Wire is used for binding notebooks, books etc. for easy movement of the paper.